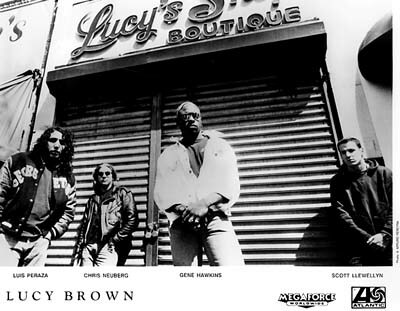 Lucy Brown was a funk metal band from Washington D.C., formed in 1987. The group disbanded with the untimely death of the lead singer in 1994. 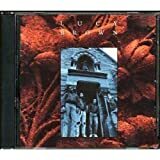 The band was originally formed in 1987, with lead singer/bassist Scott Llewellyn, guitarist Luis Peraza Jr., and drummer Chris Neuberg. Lucy Brown recorded an eponymous LP for DC-area label T.O.G. Records in 1988. The vinyl-only release suffered from low sales and limited distribution, and was not a success beyond the DC area. After adding a new lead singer, Gene Hawkins (Llewellyn stayed on as bassist), Lucy Brown signed with Megaforce Records, for which they recorded another self-titled LP in 1991. The album was not a commercial success, and the band lost their contract with Megaforce. No LUCY BROWN online videos available. Search and add one now. No LUCY BROWN music reviews posted yet. No LUCY BROWN movie reviews posted yet.